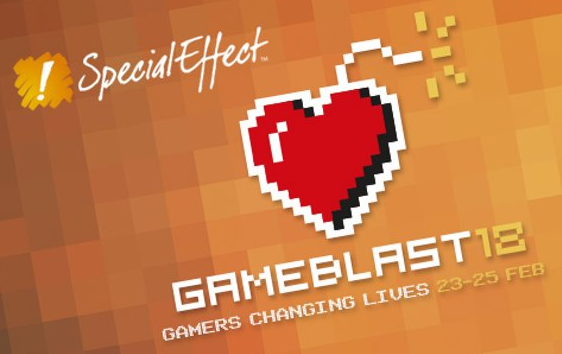 So February is fast approaching and that means that it will soon time for GameBlast, the gaming marathon event in support of the charity Special Effect. I support a number of different and awesome charities covering a wide range of different missions, some local, some national and some international. But as a gamer Special Effect is the charity closest to my heart, enabling people with physical disabilities to play games, socialise and get the enjoyment from games that other people take for granted. There is no set structure as to what you need to do other than in being gaming related, it can be PC, Console even Board games if you like. Also there is no mandatory duration needed, you can play for however long you want, a couple of hours or longer. This will be mine and Munki’s third year taking part in this wonderful event and I’m very excited, we are doing the same configuration as last year with two 12 hour stream Saturday and Sunday from at Midday to Midnight. This year I’m planning on doing another long distance Euro Truck Simulator 2 journey, this time we can go even further as we can now head into Italy, maybe a trip from Bergen to Catania via La Rochelle. Thoughts? You can learn more about Special Effect here and more about GameBlast18 here. Is there anything you would like to see me play? The video below is just over 5 minutes and it highlights all the good things that SpecialEffect have done in their 10 years of existence, if you get time to watch it please do.